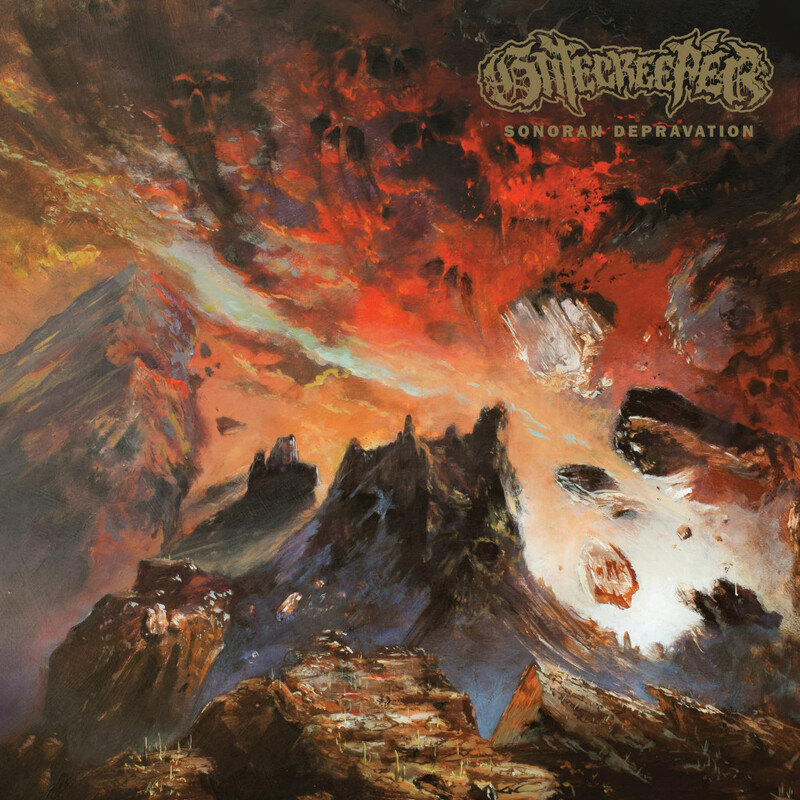 Arizona death metallers Gatecreeper have premiered their highly-anticipated debut LP, Sonoran Depravation, at Noisey. The record will officially be out this Friday, October 7, via Relapse Records and can be purchased here. The album features nine blistering tracks of buzzsaw riffs, hellacious grooves and just pure sonic grit. Check it out now. Gatecreeper is currently on tour with Skeletonwitch, Iron Reagan and Oathbreaker. The remaining dates can be seen below. 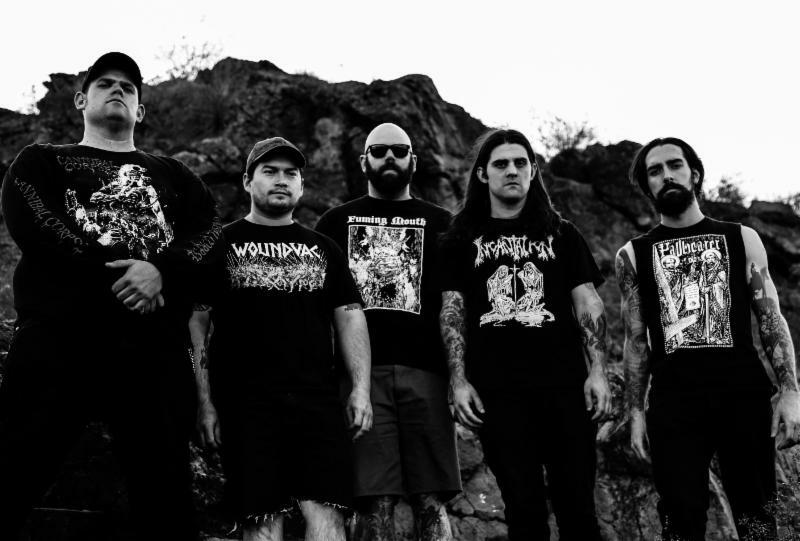 Arizonian death metal quintet Gatecreeper have premiered a new track from their forthcoming full-length, Sonoran Depravation, at CVLT Nation. The new track, which vocalist Chase Mason describes as a “morbid love song”, is titled “Rotting as One” and features deliciously gritty, lurching death metal grooves. Check out the track at this location. Sonoran Depravation will be released on October 7 via Relapse Records. Pre-order here. Sonoran Depravation will be released on October 7 via Relapse Records. 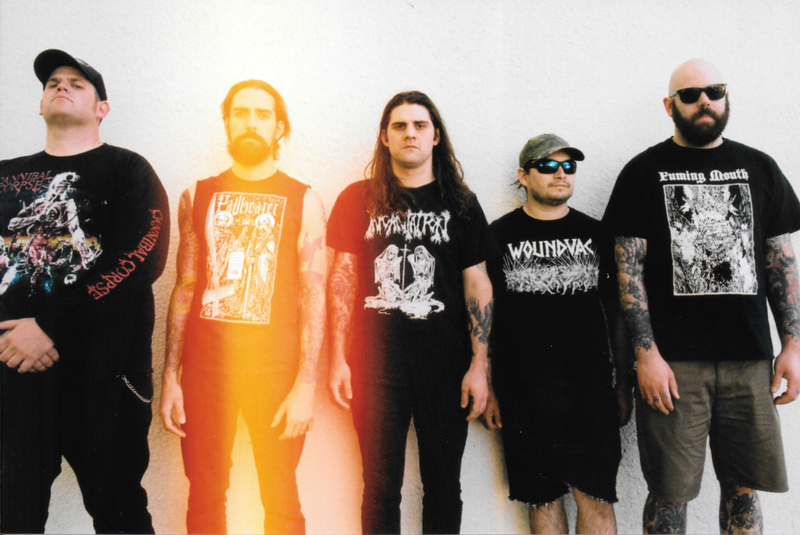 Arizona’s Gatecreeper have announced the release of their debut full-length album. The new record will be titled Sonoran Depravation and will be released on October 7 via Relapse Records. The effort was produced by Ryan Bram at Homewrecker Studios and mixed by Kurt Ballou at God City Studios. Its first single and opening track, “Craving Flesh”, can be heard after the break. The album’s artwork and track listing can be viewed below, along with the band’s upcoming tour dates with Skeletonwitch, Iron Reagan and Oathbreaker.